We have been offering workshops specifically for churches since 1987. And over the years we've taught literally thousands of church music pastors, tech staff and technical ministry volunteers. The Church Sound Boot Camp is the name we chose for our weekend workshop. We teach that class for three hours on a Friday evening, and it continues all day on Saturday. It covers all of the basics of church sound, including microphones, mic technique, signal flow logic of sound mixing consoles, system flow logic, signal processing, how to use effects in a mix, mixing techniques, and how loudspeakers work. 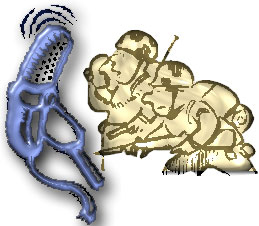 For the brave, this curriculum also includes an overview of sound system design. And we touch on the subject of relationships and burnout in the tech ministry. We don't ever want our students to come to one of our workshops and not be able to take the materials back and start making an immediate difference in their local church worship services. So the workbook includes a Strategy page for each section. You can use those questions as a guideline to help your volunteers take the information off the page and apply it to your specific needs. You won't believe how powerful that brainstorming process will be for your team. Not long ago, a church sound team volunteer who attended one of our training events came up to me during class to say "I've learned more in the last hour and a half in your class than I've learned in two days of attending other workshops." I honestly don't know how I do what I do, but I've heard that comment several times over the years. I thank God for that gift of sharing complex subjects in a way that most people can grasp. I remember the first workshop we ever offered about church sound. I had worked up a very eloquent presentation on acoustics and sound systems, felt I'd done a pretty good job of it, and then one of our students came up to me at the end of the class with the comment "That was great, but I just wanted to know where the On switch is." I learned a valuable lesson that day, and ever since then I've worked hard to simplify what I present, to bring it down to the very basics so that people can go away from one of my workshops with information they can put to use immediately, and then build on. Here are a handful of testimonials from current Owners of the Church Sound Boot Camp. The CSC Boot camp is AWESOME. Curt does a fine job of explaining everything, even the most non-technical person can follow along with his teachings. That being said, there's always something for even the most advanced student. Price wise, this is probably the most affordable training out there. $295 gives you and your church everything you need, and it's money well spent. I think the biggest success I had with this course was when one of the trustees took my class. He really hung onto a lot of what Curt was talking about and was very diligent about listening to each recording several times. Because of him taking the course, the trustees have a more fundamental understanding of why a sound system costs so much, why I spend so much time inventorying and testing parts, and support the ministry 100%. I've found that the powers that be are more interested in the needs of the technical staff and respect us as a ministry. $295 is a small price to pay for this kind of support, no church should be without this course! I have purchased the Teachers Edition, and I must say, I can not imagine how else you could bless me. The training material, and the forum for learning, thank you so much. May God continue to bless you and Jeanna, and your business as you help all of us spread God’s good news. BTW - we're using Curt's Boot Camp series this year... great stuff! Thanks Curt! We have just started running through Curt's Boot Camp and it is really inspiring the team. You, too, can start raising your level of technical excellence and inspiring your tech support team. The cost? There are three ways we can get our Church Sound Boot Camp into your hands. Just click here for more details. Okay, have we twisted your arm hard enough yet? How about a 90 day money back guarantee!?! We'll give you three full months to try it out, and if these materials don't make a world of difference in the level of excellence your tech crew is achieving, just send back the materials in usable form and we'll refund your money (less the shipping). Go ahead. Give your church sound team a present they won't forget by engaging a focused, heartfelt pursuit of technical excellence. Obviously we're willing to do whatever it takes to get these materials into your hands. I'd like nothing more than to be there at your church to teach these materials to your team. But I've discovered much to my dismay that I'm not omnipresent. So Jeanna and I need your help in carrying this pursuit of technical excellence to the world. We've kept the price of this package as low as possible. When we started doing these workshops, we were one of two companies offering them nationwide. Nowadays it seems like every music store and sound contractor on the planet is jumping on the bandwagon. But to take your crew to a workshop that's worth attending you're going to pay somewhere between $100 to $500+ per person just for the registration fee. And if you have to travel, add mileage, an overnight stay and meals as well. You could easily spend well over the small amount we're asking for this package. And you can use this package over and over again. How many high school students have you lost from your tech support team because they went away to college? How many college students have you lost because they moved away to take a job, or got married? There's a continuing need to train up new sound team volunteers, and the Teacher's Edition will help you do that year after year. Hey, why are you still reading this!?! Go get your checkbook or your credit card and order this thing from us right now. Don't get scared off thinking you can't teach this class. You can. We've given you 90 days to prove it to yourself, and you can call us along the way for answers to your questions. Order it today! Questions? Call us at 469-877-7892. Prefer to attend a LIVE workshop!?! Check out our seminar schedule at ChurchSoundBootCamp.com. 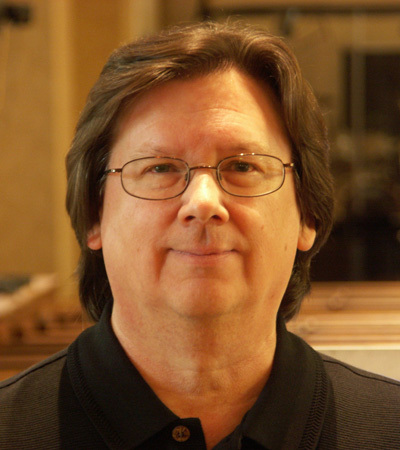 Curt Taipale enjoys over 30 years of experience in audio as a church tech team leader, recording and live sound engineer, consultant, AVL system designer, design/build contractor, educator, author, and professional musician. He is the founder of ChurchSoundcheck.com, author of “The Heart of Technical Excellence”, author of three chapters in Yamaha’s “Guide to Sound Systems for Worship”, and a contributing author to several prominent trade magazines.